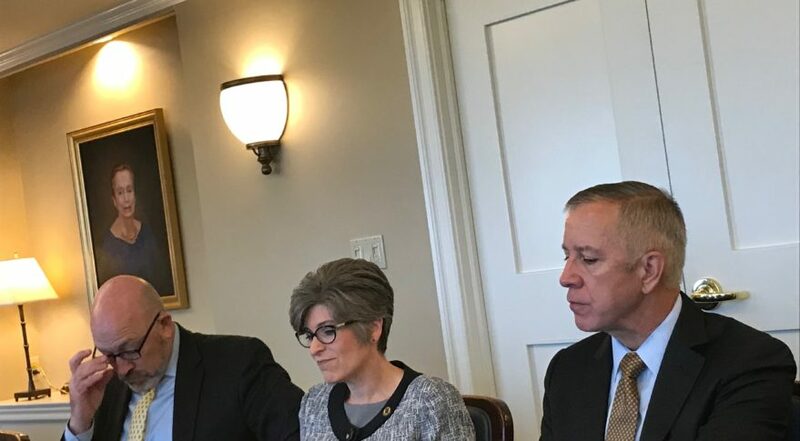 Sen. Joni Ernst: “I think we need to keep an open mind and figure out what really makes the most sense, and where can we leverage those dollars." “I think we need to keep an open mind and figure out what really makes the most sense, and where can we leverage those dollars,” she said. But Ernst also is a fiscal conservative and suggested she would want to understand how different options for standing up a Space Force affect the total cost. Air Force Secretary Heather Wilson wrote a proposal for how to organize a Space Force and a U.S. Space Command, with a price tag of $13 billion over five years. Defense Secretary Jim Mattis has said the Pentagon is working on its own cost estimates in preparation for the 2020 budget submission. Wilson’s numbers have been criticized by Space Force advocates like House Armed Services Committee Strategic Forces Subcommittee Chairman Rep. Mike Rogers (R-Ala.) who last week described Wilson’s proposal as an attempt to “gold-plate” the Space Force to make it unpalatable to lawmakers. One of the most pointed critiques came from Todd Harrison, defense budget analyst and senior fellow at the Center for Strategic and International Studies. He said Wilson inflated the cost by adding thousands of extra personnel that would not be needed and by budgeting a billion dollars for a questionable Space Command facility. Speaking at the Heritage Foundation on Thursday, Harrison said the “vast majority of the cost of the Space Force we already have in the budget, we already have space forces in the Air Force, Army, Navy and intelligence agencies.” The infrastructure and bases already exist as well, he said. One of the concerns on Capitol Hill, besides the cost, is that the administration is pushing this reorganization too hard and too fast, some experts argue.